Since 2012, U.S. grain prices have trended down significantly. Canadian farmers have been somewhat shielded from the price drop by a corresponding slump in the Canadian dollar. However, current prices combined with last year’s weather-related yield and quality losses are resulting in negative margins for many producers. Coffee shop analysts are quick to assign blame for Canadian grain producer’s current economic woes. Many point to a series of bumper crops in many grain growing regions since 2012, resulting in burdensome stocks, and therefore, lower prices. Others argue the main blame for lower prices should go to increased charges and profits taken by grain handlers, traders and merchants. Increasingly, political action and tariffs are also seen as the cause of lower prices. For example, analysts link today’s prices to China’s new tariffs on U.S. soybeans and India’s import restriction of pulses. And some of us point to expansion of grain production globally, noting the increased production in Russia, the Former Soviet Union (FSU), South America and China. A few will even argue the expense side of production economics is the main culprit for our shrinking margins, citing rising land, input, labour, equipment costs and increasing tax burdens. A solid case can be made for each. Ineed, all play a factor in the net returns to a farm business. However, we’re in danger of ignoring that 2012 prices were the result of global drought-induced grain shortages, and 2012 prices were well above long-term averages. As much as farmers would have liked prices to remain at those inflated levels, free market forces predicted this was likely a pipe dream. Budgeting based on 2012 prices simply set producers up for failure. But there is another underlying factor which we may be overlooking. It’s a bigger challenge than any of the above. The simple fact is that many grain-growing regions in the world produce and market grains at a significantly lower cost than we can. In a free and open market, high production costs are a major problem. Perhaps the best example of what happens to high-cost producers of agricultural commodities is to look at what has happened in Hawaii. At first glance, you have to wonder if there would be any better place in the world to farm than Hawaii with their year-round growing season. Most of the islands are subtropical to tropical with a range of climatic zones that enable farmers to produce a huge variety of crops. And your nearest food-producing competitors are thousands of kilometres away. The reality is much different. Until a few decades ago, Hawaii was self-sufficient in food production. Today, Hawaii produces only 15 per cent of its food needs; the rest is imported. A University of Hawaii study estimated Hawaii only has an 11-day supply of food on the islands at any given time. The 2016 agricultural footprint study found active cropland dropped from 350,830 acres in 1980 to 151,830 acres in 2015. Another 338,000 acres of pastureland was abandoned over the same time period. It wasn’t just urban encroachment and development that took land out of production. In fact, most of the abandoned farmland is simply lying fallow. The primary reason is that it’s cheaper to import basic foodstuffs than to grow and process them on the islands. Sugarcane had long been a staple crop of native Hawaiians. It was not long after the arrival of Captain Cook that cane plantations began capitalizing on America’s demand for refined sugar. Sugar became Hawaii’s top crop with 14 large sugar plantations and five major milling companies, and by 1959 the industry was employing one in 12 people, making it the state’s biggest employer. But that was then. In December, 2016, its last sugar­cane was harvested, and its last mill closed shortly after, ending sugar’s reign as Hawaii’s top crop. The industry was felled by high land costs, high labour costs, high input costs, and environmental concerns over water usage and air quality. Hawaiian sugar simply could not compete against sugar produced in Cuba, Puerto Rico, South America, and India. The other major crop Hawaii is known for is pineapples. Hawaiian pineapples spawned both the Dole and Del Monte brands. In the 1960s the Islands were supplying 80 per cent of the world’s pineapples. But like sugar, the Hawaiian pineapple industry lost out to lower-cost production elsewhere. 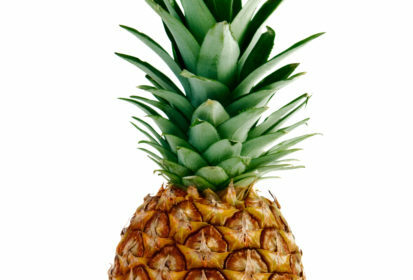 By 1980 Hawaii was supplying only two per cent of the world’s pineapples. The last pineapple cannery on the Islands closed in 2007. Its death actually began in the 1930s when Del Monte began production in the Philippines where labour costs were a fraction of Hawaii’s. Del Monte then further expanded to Costa Rica, growing its last Hawaiian crop in 2008. Maui Land and Pine ceased production in 2008, and while Dole continues to grow pineapples for the fresh Hawaiian market, it has moved most of its pineapple business to the Philippines, Thailand, and other low-cost production areas. It was not only cost that drove the pineapple industry out of Hawaii. Hawaii pineapples were no longer seen as superior in quality. New producing areas had adopted varieties similar in quality to what Hawaiian farmers had switched to in an attempt to compete with low-cost producers. Now compare the Hawaiian experience to grain production here, especially on the Prairies. Canadian growers are competing with lower-cost production in South America, Russia, and the FSU. These areas offer lower-cost land, transportation and labour, and they have better access to many markets. Much of South America grows two crops a year, and Canada is also rapidly losing its reputation for superior quality and as a reliable supplier. Canadian growers are now more concerned with varietal selection based on quantity rather than quality. And the dominant global grain companies are investing heavily in new and expanding agricultural areas. Anyone see any similarities with Hawaii? Is Hawaii the canary in the cornfield, showing us the direction Canadian field crop agriculture is heading? While sugar and pineapples dominated Hawaii like the way field crops dominate Western Canada, high production costs are having an impact on smaller crops in both regions too. Richard Ha closed his hydroponic tomato operation in Hawaii in 2014 citing high costs and competition from lower-cost imports. He was supplying two million pounds of tomatoes annually to Hawaii consumers. He is switching to producing medical marijuana. The Hawaiian dairy industry has met a similar fate. In the ’50s there were more than 90 dairy farms and at the peak of production Hawaii dairy farms were producing 33 million gallons of milk annually. So much milk was produced and competition was so fierce that milk wars ensued, and in 1967 milk was dumped on the grounds of the Iolani Palace because of the low prices farmers were receiving. The state responded by setting minimum milk prices. Instead of stabilizing the industry, this action indirectly ended it. All but one milk processor closed their doors by 2014 and only two dairy farms supplying fresh milk to Hawaiians remain in business — and both are threatened by the fact that the lone processor could import milk from California cheaper than the state-imposed minimum price. In 2014 one of these dairy farms actually asked the state to lower the minimum price even though its production costs exceeded that minimum. Why? Because it was their last-ditch attempt to keep the processor from closing. Today, most of the milk purchased in Hawaii comes from California. Hawaii is not the only state where U.S. farmers are falling victim to foreign competition. It seems everyone loves roses! On Valentine’s Day hundreds of millions of roses are purchased. In 1986, 228 growers in the U.S. met that demand for this gift of love. In 2015 there were only 15 growers of roses left in the U.S. In 1992, Columbia was profitably selling roses into the U.S. for 24 cents per stem. The wholesale price for U.S. grown roses at the time was 35 cents. Given that the valentine rose market was switching from florists to retailers like Walmart and grocery stores, it is little wonder U.S. rose growers were simply priced out of business. U.S. rose production has dropped by 95 per cent over the last 27 years; Columbia now ships over four billion flowers to the U.S. annually. After the Second World War, farmers in southern Florida discovered their climate was ideal for growing limes. In fact, it was the only place in the continental U.S. where limes could be grown successfully. Production increased as Americans appetite for limes exploded. However, in 1992 hurricane Andrew devastated the Florida lime orchards. Mexico seized that opportunity to supply the American demand and maintained the market because of their lower labour and land costs, and by adopting varieties preferred by the American market. The final nail in the coffin of American lime production was a fear that a citrus canker which appeared in new lime orchards in 2000 could spread to the much larger Florida orange and lemon orchards. The powerful citrus industry convinced the state of Florida that all citrus trees near a diseased tree must be destroyed. It turned out the disease could not spread to oranges and lemons, but by the time this was learned, the remaining lime industry had been wiped out. The parallel between the factions in the Florida citrus fruit fight and the divisions between organic/GMO/conventional farming is scary. Are we setting ourselves up to destroy our industry from within? We are rapidly reaching the crossroads for agriculture and the direction we take should be a concern to all farmers, industry, governments and the public. Do we follow the path Hawaii took and simply ignore the economics and the impact on food security and watch conventional Canadian agriculture wither away? Do we need to focus on smaller-scale niche crops rather than commodity production as Hawaii is now encouraging residents of that state to do? Do we follow the advice of industry and most advisors and focus on greater productivity? Do we instead focus on economic efficiency? Or does Canadian agriculture need to find a totally new path to economic survival? No idea should be discounted in what will be an economic fight for survival in a very competitive global agricultural marketplace.